A lamp of high-quality design striking for its innovative appearance as well as for its technology. 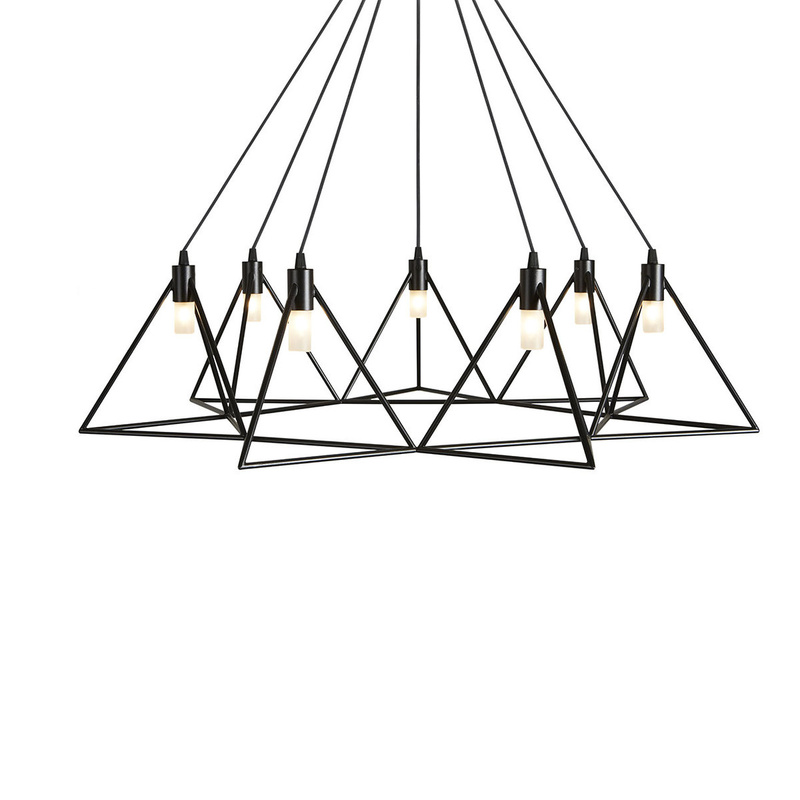 The Vitruvia pendant has been designed and produced by the well-known brand Gibas from the Marche region, a company which manufactures lighting products that amaze for technological innovation which is perfectly combined with traditional craftsmanship and art. 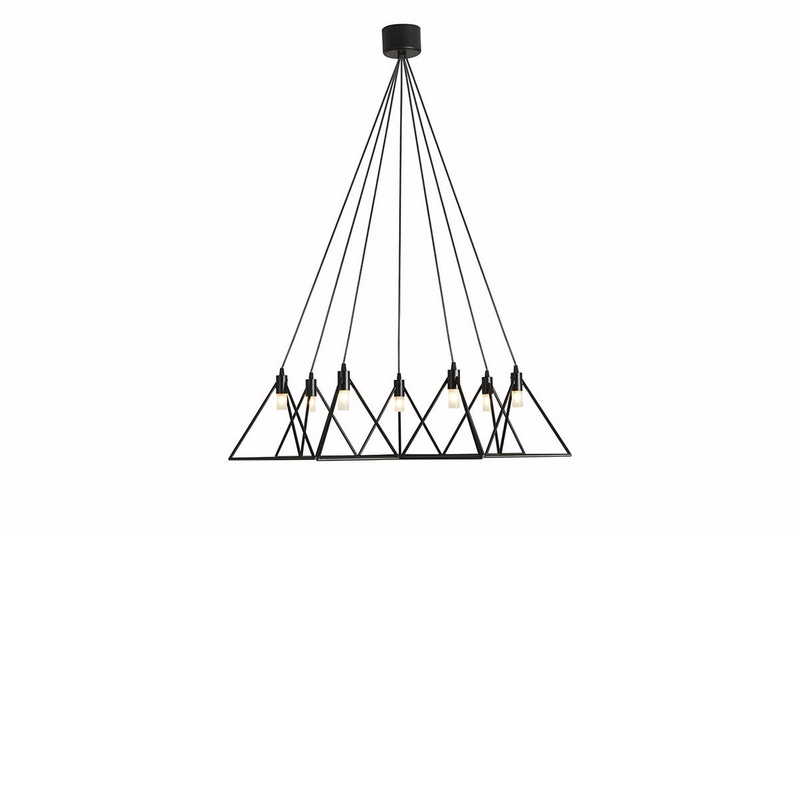 A leader company from more than fifty years in the lighting field, both nationally and internationally; Gibas, completely Italian , with this original pendant stands out for its high-quality design and its perfect working. The company is led by experienced entrepreneurs, and all its lighting products are made from resources that work with both traditional methods and with the most modern principles of technological innovation, producing pendants that are artistic and functional at same time. In this Vitruvia pendant tradition is cleverly integrated with technology and design and can create an atmosphere perfect for any kind of environment, both classic and modern. 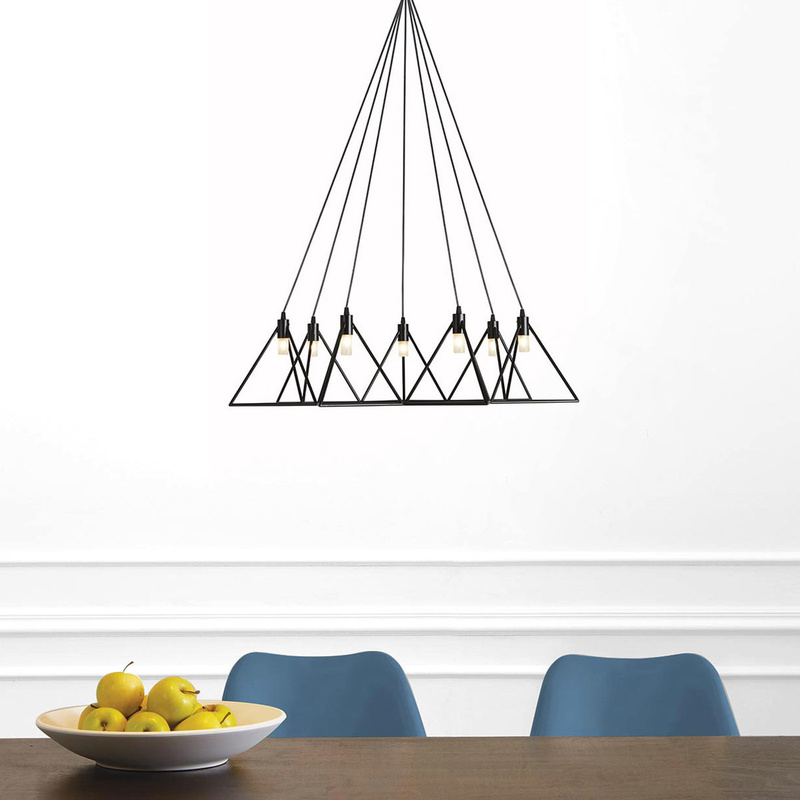 This sophisticated and refined pendant belongs to a family of pendants that are composed exclusively of steel plates or pipes, which are epoxy powder coated. Designed by the internationally renowned designer Roberto Giacomucci for the line "Light & Geometries", the pendant Vitruvia is made by Gibas in 3 different sizes and with different lights. 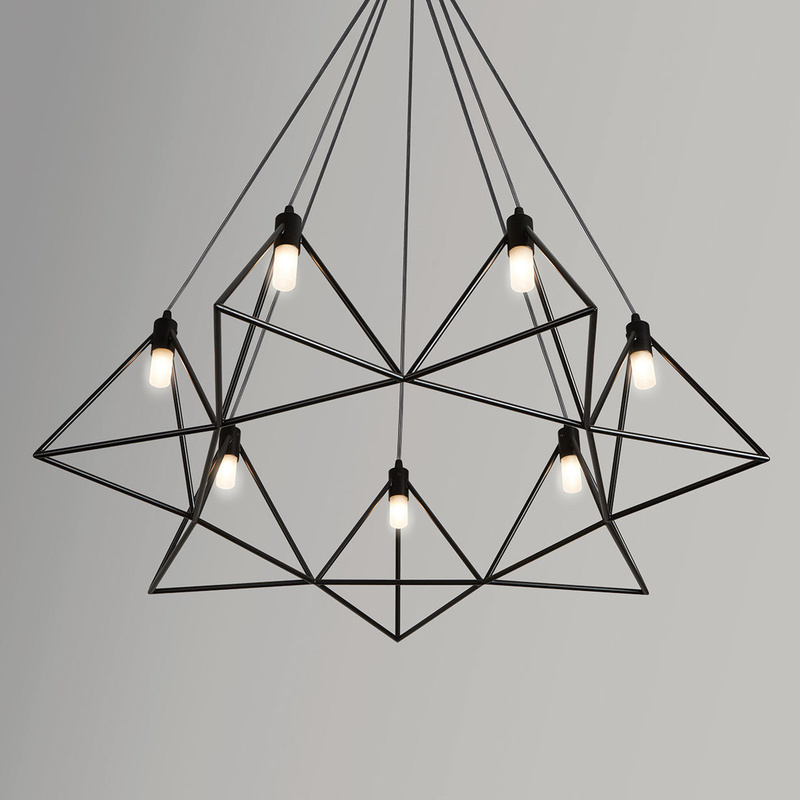 This pendant, simply realized with long steel pipes, is equipped with diffusers to its ends, that are geometric forms made of satin white borosilicate. 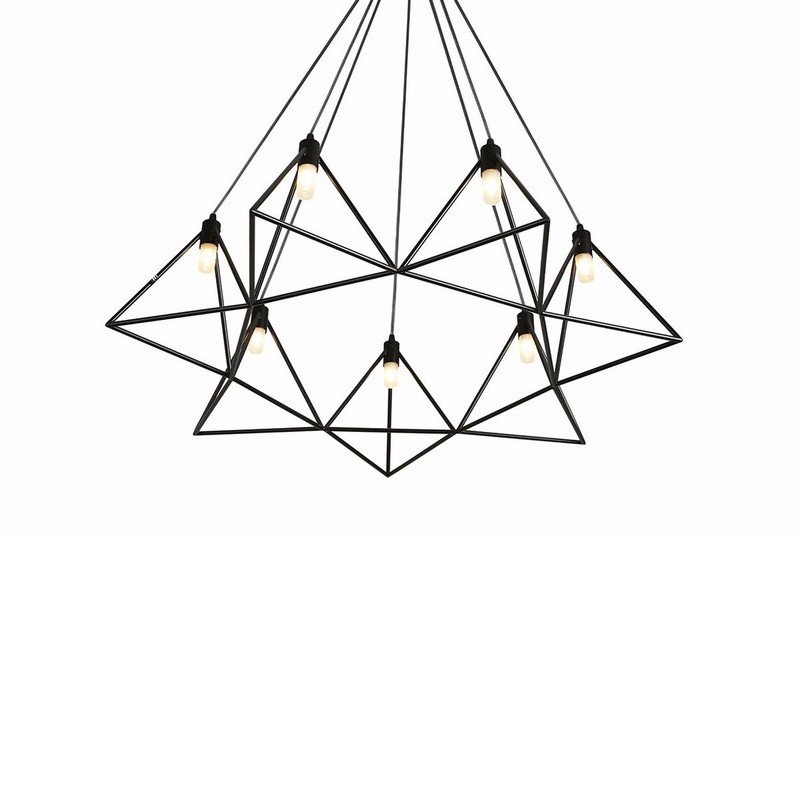 Its distance from the ceiling of about one meter and a half allows a perfect illumination both with diffuse light and direct light, making this pendant perfect for those who need a bright light. The appearance of the Vitruvia pendant is unique and original, as well as innovative: since it call to minds the forms of traditional pendants of the past, it is suitable for environments with a classic, traditional and more modern decor. 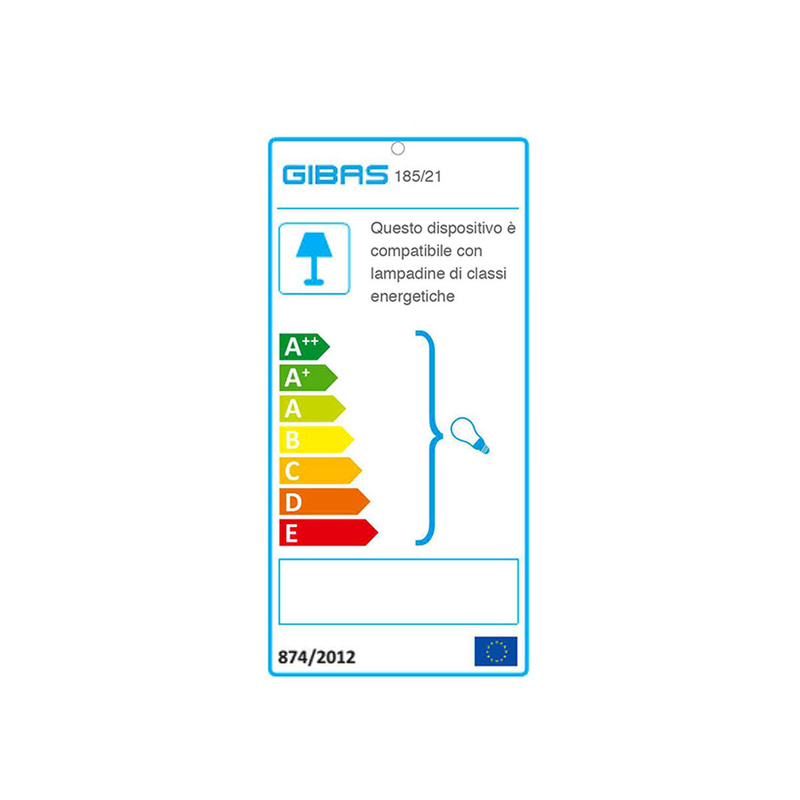 Technical information: the pendant is equipped with dimmer, has a voltage of 220 V and it has a cable 150 cm long. The bulb is not included; it is recommended a halogen or incandescent LED, 7 x G9 - 30W max. It is CE marked. Architect Roberto Giacomucci lives and works in Ancona, Italy. He designs for and cooperates as an Art Director with several Italian companies in the home decor, lighting and bathroom decor industries, such as Guzzini, Livi't, Con&Con, Confalonieri, Emporium, R.S.V.P, Invicta, Magppie and others. He is the founder and curator of the Oblique magazine, a quarterly publication that connects companies and designer. 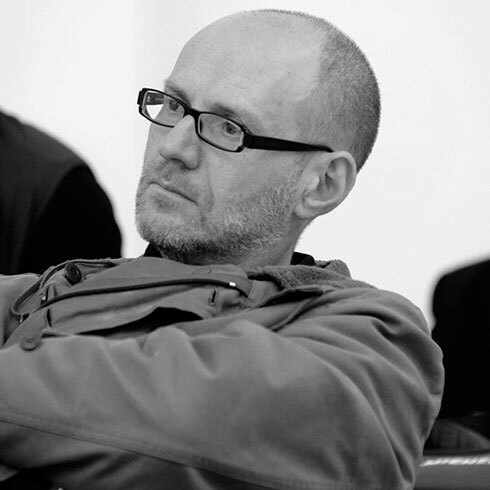 He is also curator of the monthly column "Design community" on DDN Design Diffusion.